The abortion debate in France was sparked by the case of Julie Gros. In 1846, 1847 and 1851, Julie Gros was pregnant and had an abortion due to the fact that her pelvis was too small to deliver a baby. The doctors who performed her abortions were eminent French doctors-- Pierre Cazeaux, Paul Dubois and Adolphe Lenoir. They induced a miscarriage early enough in the pregnancy so that the baby could pass through her pelvis, but he was not viable. The passage for which the baby had to pass through was only 5 centimetres (2 inches) in diameter. C-sections were not commonly performed in those days, and their survival rate was rather low. And even if there was a chance at survival, there was no good anesthetic, making the operation rather dreaded. Some argued that the reason survival rates were low was that it was used at the very last resort, after the patient was completely depleted, so she had no resistance to the trauma. 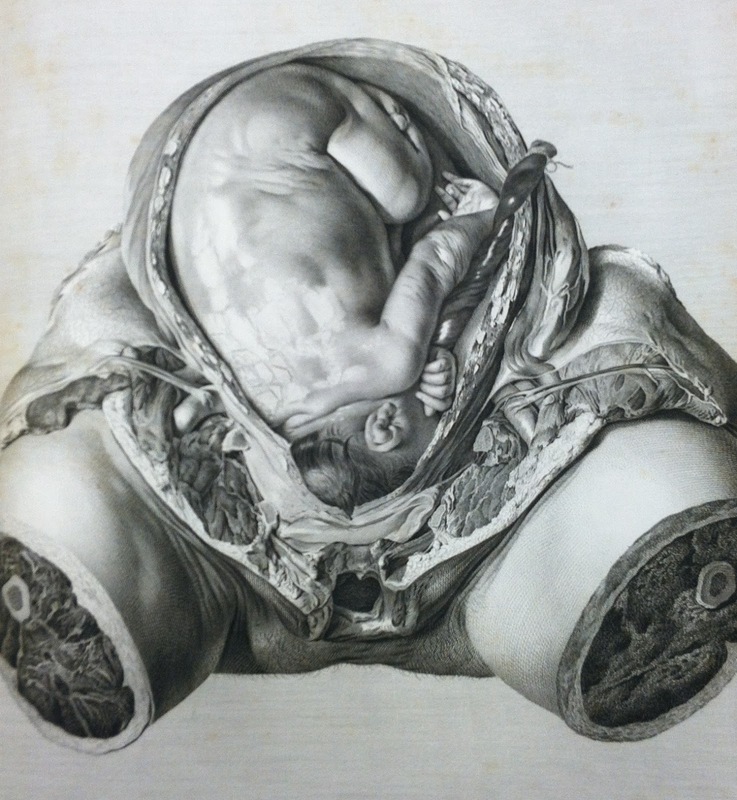 Suffice it to say, the c-section had not proven itself as a means of saving mother and baby. In 1851, Dr. Lenoir presented a report to the Academy of Medicine. It was debated in six gatherings in 1852. The purpose of the debate was to get the Academy to recognize the procedure and its justification so that other members would feel free to perform it, and to give the weight of medical approval in the face of potential legal prosecution, as abortion was absolutely illegal in France. The only condition for which abortion was under consideration was a narrow pelvis-- a situation in which there was other perceptible solution. The debate was framed in terms of whose rights "prevailed"-- the right to life of the mother, or the right of the baby to be baptized? Of course, the pro-life mentality is to try to save both, that neither party deserves to die or deserves to be killed. But the pro-abortion doctors argued that the rights of the mother prevailed, and this approach would strongly colour the future of abortion debates in France. In contrast, the status of the unborn began to diminish, as his worth as a human being was questioned. The eminent obstetrician Velpeau wondered how a mother could be "sacrificed" in these cases for a fetus who was barely a human being, and of no use to society. Dr. Bégin, who spoke out against abortion, did not want to condemn Lenoir for his abortion in the case of Julie Gros, but he predicted that once the door was opened to abortion, its use would be extended to the point that there would no longer be any distinction between medical and criminal abortion. His words were prophetic. The Academy of Medicine agreed that Dr. Lenoir was authorized to act as he did, under the circumstances. While the Academy of Medicine did not judge the larger issues of when or whether abortion was acceptable, in voting in this way, it effectively left to the judgement of doctors whether it should be practiced. And indeed it use was extended to other cases in the 19th century, such as cancer, tuberculosis and even eugenic cases where patients with syphilis underwent abortion in order not to produce "defective" offspring. Therapeutic abortion was never widely accepted in the nineteenth century, but vote by the Academy of Medicine gave it a certain legitimacy that made it easier to to advance its legalization at the turn of the century. By the turn of the century, when neo-malthusians decided to push for abortion, they were arguing for the extension of an accepted medical procedure. Source: Histoire de l'avortement XIXe-XXe siècle, Jean-Yves Le Naour, Catherine Valenti. Éditions du Seuil, 2003. Also, these two medical journal articles.